Fun, Retro and whimsical is what you get with this Vintage Samsonite cream colored luggage set. 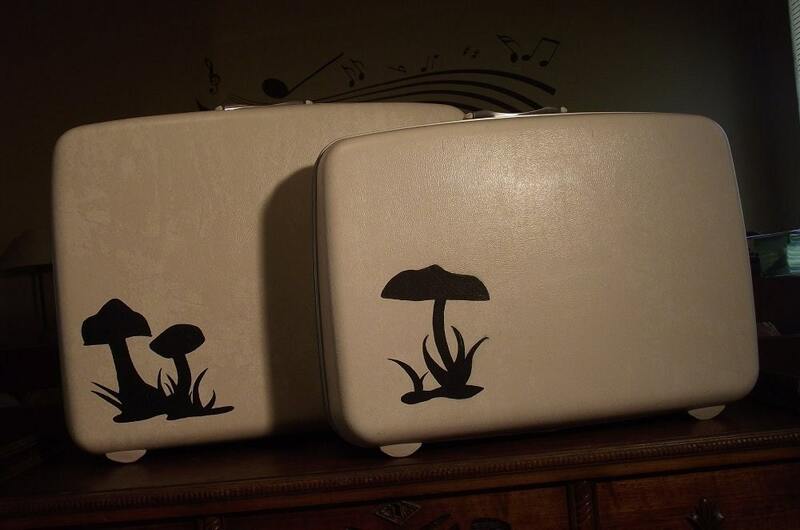 There are 2 mushrooms on the larger case and 1 on the smaller. Inside you will find wonderful sunny yellow polka-dot fabric with tons of pockets with zippers, ties and latching dividers. There is a key for this set attached to the inside. ideas of imagination and wonder. name on the lips of all that appreciate art in the most portable way imaginable. handles and feet. Each case does have a couple tiny nicks at the corners.